This morning I looked outside from the front hall and can see the mushrooms have been stolen. Yesterday they had opened and stood so proud. 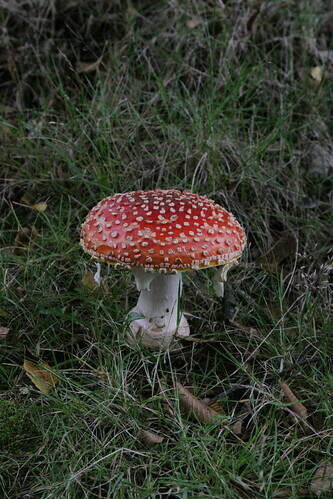 I took photos and admired the mushrooms many times, going onto the lawn and looking. This was the most amazing one. Yesterday I was specking to Anton Newcombe on Skype, and the Black Angels. 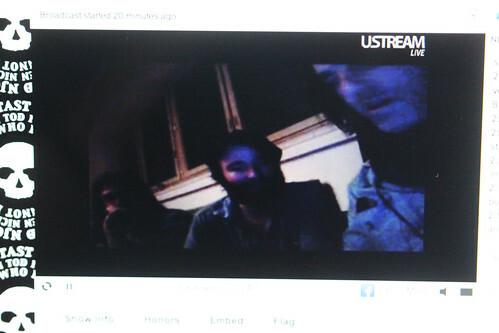 The Black Angels played Berlin yesterday, well night in Berlin and Anton was broadcasting live on Upstream live. This photo was taken off my computer. Later I spoke to them on Skype, and took my laptop outside and put it at the mushrooms to show how wonderful they were live by Skype on Upstream. The mushrooms were seen around the world and now the mushrooms are gone, so it is. Now time for coffee. One of the best parts of August this year was the PNE. It is OK in the rain but amazing in the sun. The 1st time I went there was with my son. his wife, her sister and her sister's children. 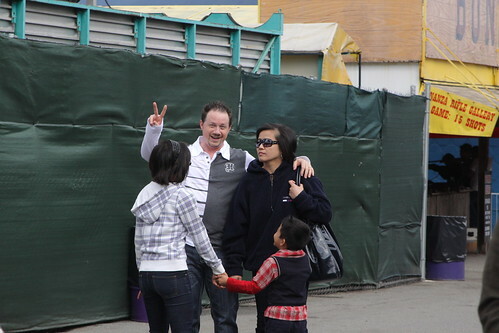 We all walked around watched parades, my son and kids went on rides, I took photos everywhere. 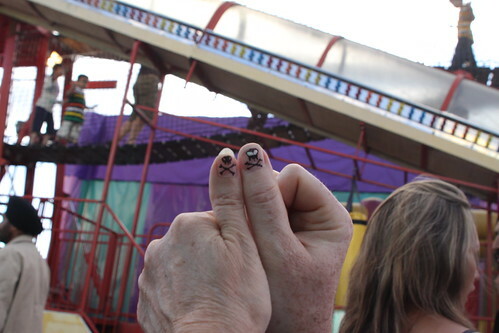 This is the 1st year my son, hand on the right got a pirate on his thumb nail that's mine on the left. That is my son and his wife. 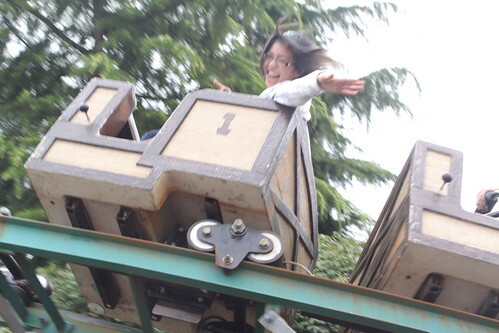 There was no amount of pleading with me would get me on the roller coaster for 2010. It has been a long time. I love sharing the PNE with them. There are few things we all do together and these few hours are fun.